NEAR MCFARLAND, Calif. -- Four people were killed after a Skylife medical helicopter crashed north of Bakersfield in Kern County Thursday evening . The helicopter was flying from Porterville Municipal Airport to Meadows Field Airport when the aircraft went missing at around 6:50 p.m. Kern County Fire crews found a debris field near McFarland at around 9 p.m. The area where the helicopter went down was filled with thick fog. The helicopter was carrying one pilot, a flight nurse, a flight paramedic and the patient. EMS Director Dan Lynch said that at approximately 7:05 p.m., the Fresno County EMS Dispatch Center was unable to make radio contact with Skylife 4, while conducting the routine safety check, which is a 10 minute safety check when aircrafts are in flight. 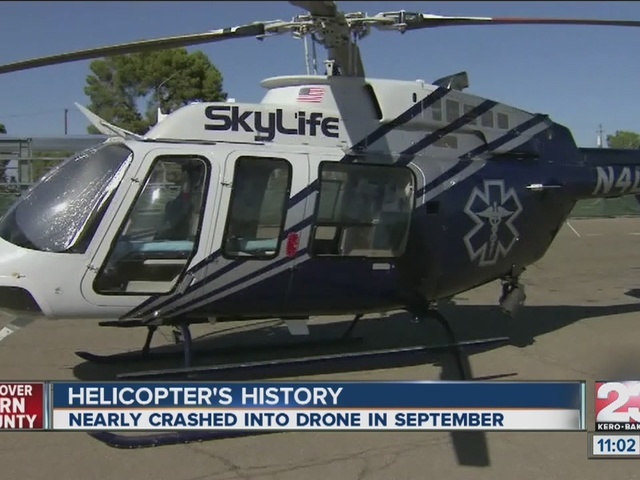 When the dispatch center was unable to make contact with Skylife 4, it immediately contacted the airport towers in Fresno and Bakersfield. 23ABC News confirmed that the helicopter was scheduled to go to San Joaquin Community Hospital, according to hospital spokesperson Jimmy Phillips. Firefighters from Delano had begun searching in that area after reports that the helicopter lost contact with officials, according to Kern County Fire Engineer Michael Nicholas. Fire officials confirmed around 10:20 p.m. that all occupants onboard the helicopter were killed.